This was the season of text sweaters. I have been eyeing a few myself like the fun play on the designer like the Ain't Laurent Without Yves by What About Laurent or the Homies sweatshirt by Brian Litchenberg. Of course, there have been a ton of others that came out for a lower price point, like Urban Outfitters had theirs for some time. Thanks to my blogger partner in crime she bought me a Ain't Laurent Without Yves sweater of my own from Joyce Leslie as a little present. To say that I was one happy camper would be a total understatement. This sweater is going to be worn to death! 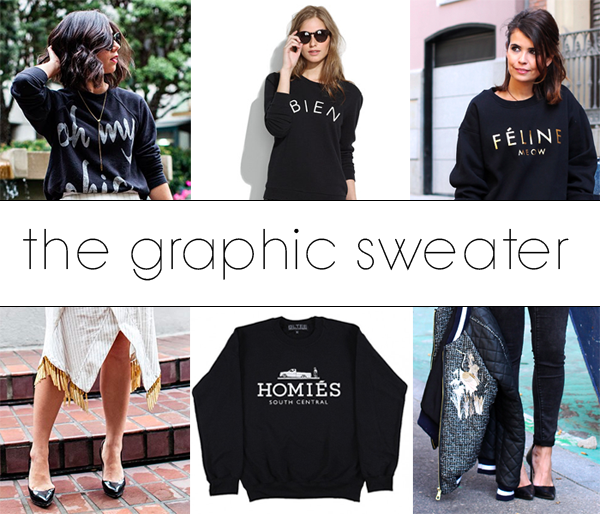 What do you think of the text sweater trend? I love these sweaters! I can never seem to find them though :( I love how you styled yours!! 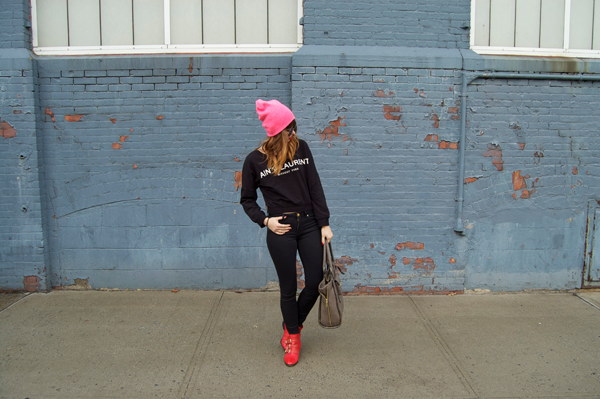 Always love a bright beanie on top! 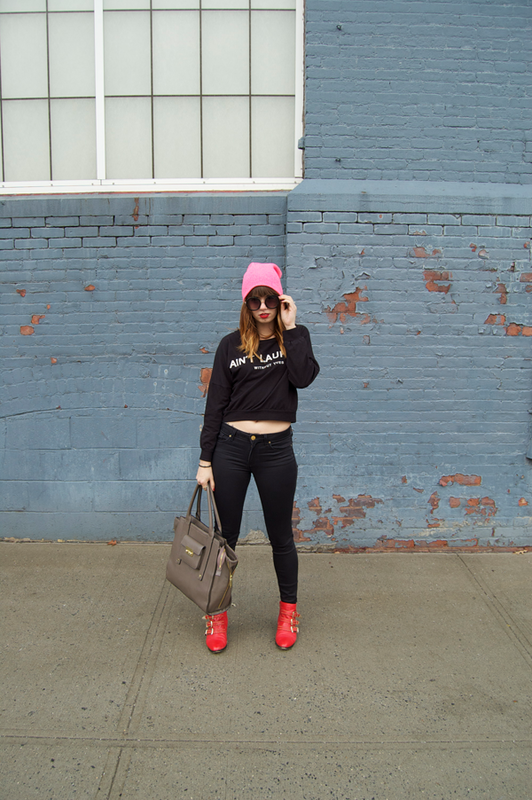 love these cheeky tees for an edgy fair; yours is PERFECT! need! !